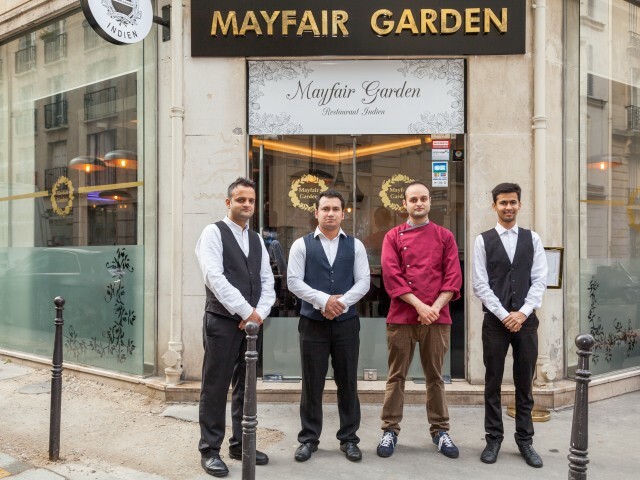 The first London Indian gourmet restaurant in Paris, Mayfair Garden by Nawaz Frères offers a culinary journey into the world of contemporary Indian cuisine. One of the brothers is responsible for the room, the other, Naman, is Chef, and has worked in large Parisian and London establishments, such as the Ledoyen Pavilion or Fouquet's. The restaurant is located rue Lauriston, a stone's throw from the Champs Elysées and the Charles de Gaulle Metro.